English, German, French, Spanish, Russian, Japanese. 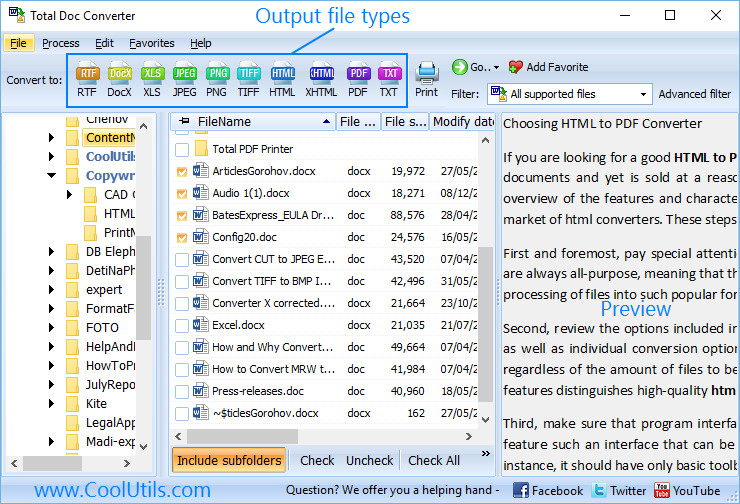 Converting as many RTF files as you need in one conversion. Handy navigation panel in-built into program interface simplifies search of required sources. In-built RTF viewer helps to define with required source file: minimum user mistakes. Three different ways to convert RTF to XLS: using program interface, Windows command line or file context menu. Two last modes don’t require launching Total Doc Converter. 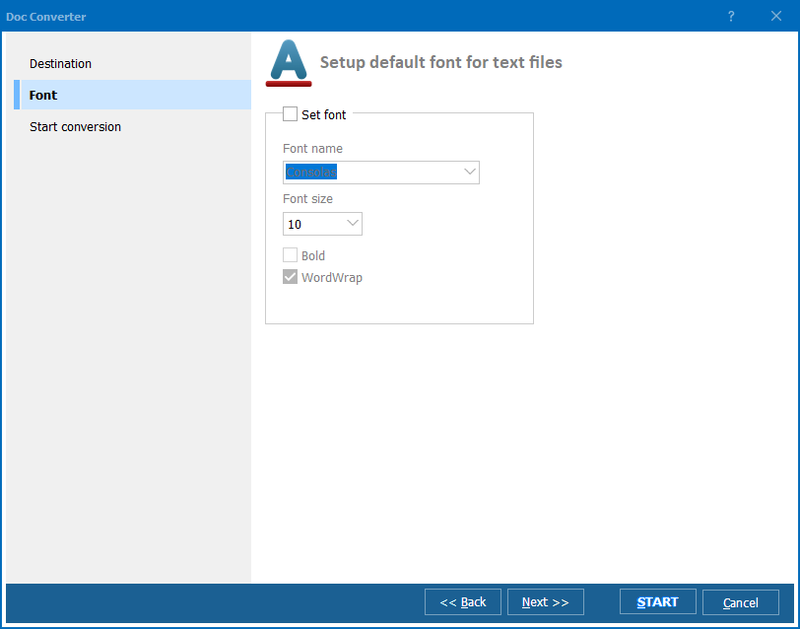 Ability to change text formatting (optional). Thanks to variety of available working modes, each user can use the program in the way most comfortable for him. 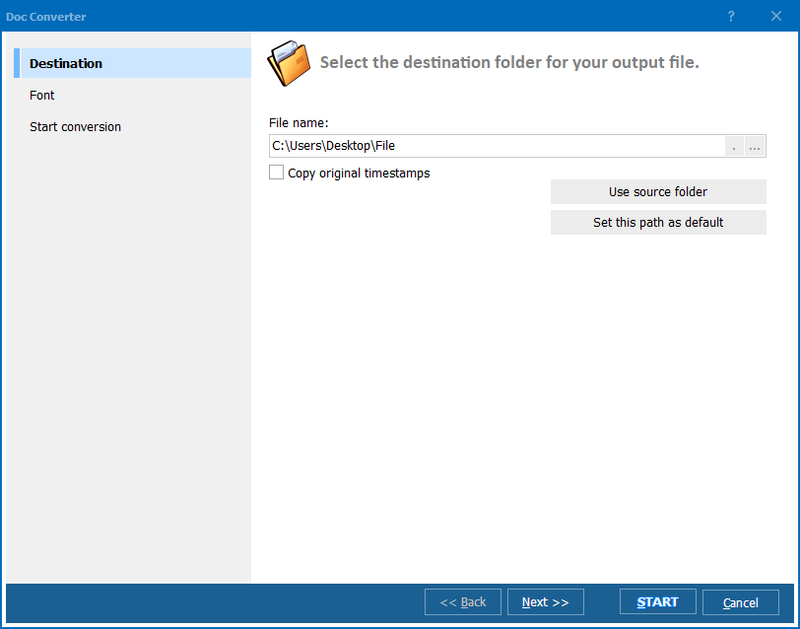 After conversion is done, a destination folder will be opened automatically, so user can check conversion results right away. Converting RTF tables to XLS format is also reasonable when it is necessary to compress the file size. Simple text tables weight three times less in XLS than in RTF. 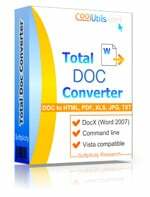 Total Doc Converter offers a trial period during which user can try all its features and get sure in its suitability. The trial version is fully functional limited only by time of use. Download it now from here and order a license clicking on ‘Buy Now!’ button.